In construction, everyone has an opinion about whether it's better to frame roofs with trusses or using conventional stick framing, Here's mine: Trusses are smart! They are installed on 24" centers instead of 16" centers, which means fewer trees cut. 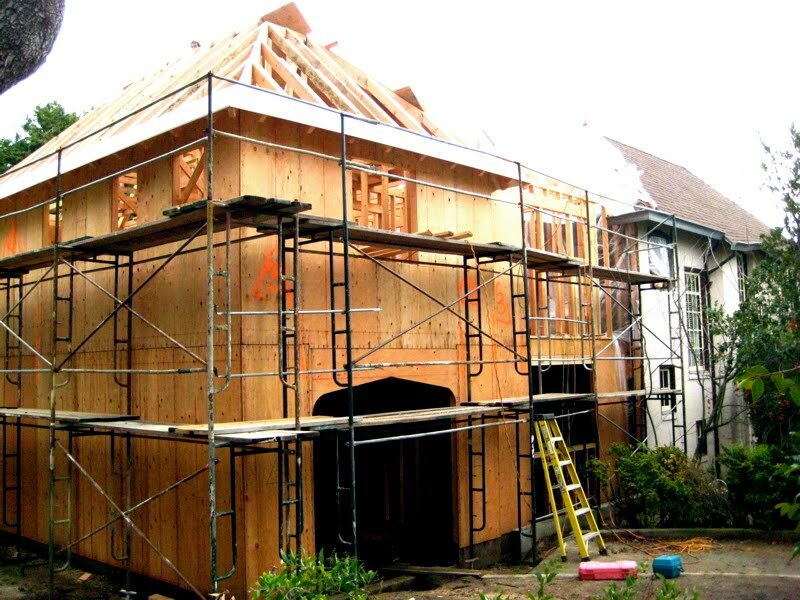 Additionally, a complicated roof might take weeks to stick frame whereas trusses go up in a matter of days, which means less labor and lower project costs. 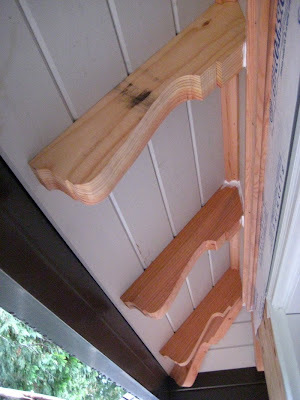 On our English Tudor remodel, the eaves of the original house were decorated with elegant rafter tails. For the addition, rather than make each rafter tail and plant it onto the outside of the house, we took one out of the demo pile and sent it to the truss company. They replicated the detail on extended legs of the truss itself so all we have to do is trim, caulk, and paint. Done! 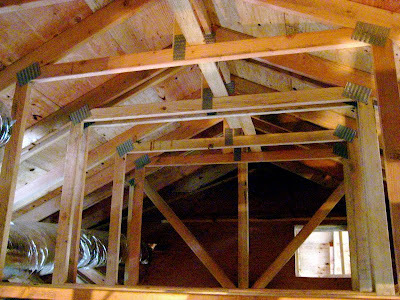 Usually, the biggest argument against truss framing a roof is that with all those cross braces in the way, the attic can't be used for storage. However, in this remodel, the roof pitch was steep enough that the truss designer was able to cleverly box out a sizable area that will make a great platform for the Christmas decorations. With the roof framing up, we can move on to shingles and windows. Yay! Love the integrated rafter tails! We use attic trusses like that all the time. You can create cheap storage space while benefiting from trusses. Not only are trusses quicker, frankly as a structural engineer I feel they are safer (with one exception being fire damage). Today it's harder and harder to find carpenters capable of properly framing roofs with rafters...it's just a dying skill. I love that tail design they incorporated for you, I'll keep that in mind for future use.